Companies today recognise the importance of the “Customer Experience” – and marketers are the ones who are being called to the front line, the way marketers interact with customers can define what makes their company standout from the rest. However, paying for more video advertising or sending a few texts won’t instantly your revenue alone, you can’t simply add more channels and expect more return. 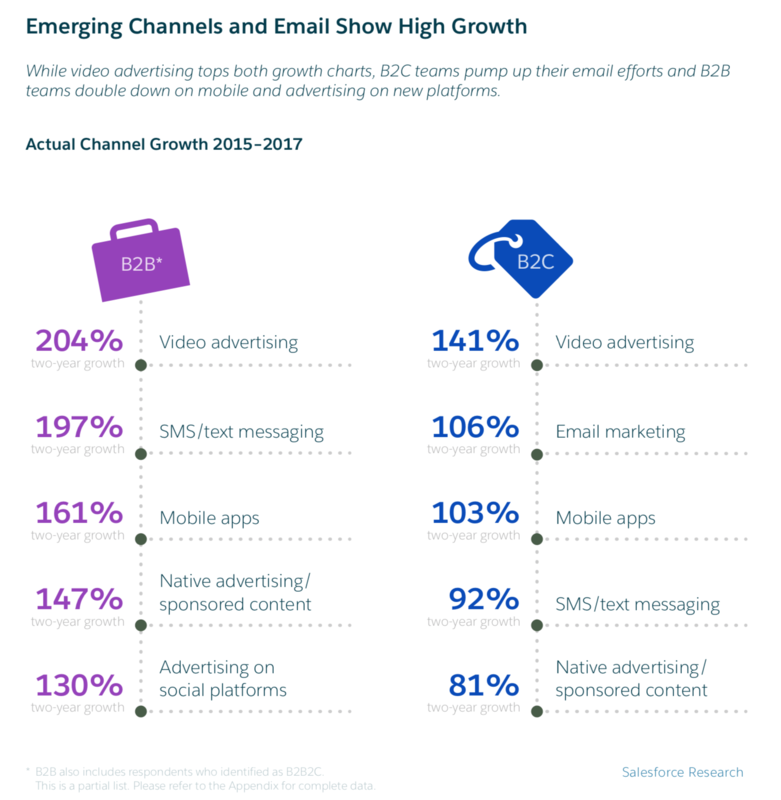 What are leading marketing teams doing differently with these channels to have a leg up on competitors. Here are the Four Key Takeaways from the fourth annual “State of Marketing” report. 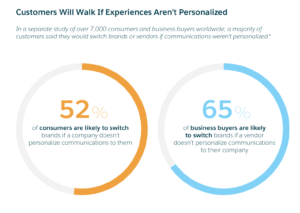 On the path to delivering connected customer experiences, marketers continue to wrestle with gaining a single view of the customer leveraging data from different source. The difficulty of gaining this single customer view is compounded by elevated customer expectations and the tremendous growth of newer marketing channels. While high-performing teams are better at coordinating marketing across channels, a majority fail to evolve their message from one channel to the next. With the rising flood of available customer data, companies are rethinking everything from job roles to how marketing functions in the boarder organisation. From account-based marketing to closer alignment with customer service, top marketers are change agents staying ahead of the curve. 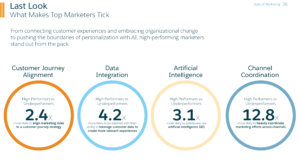 Marketers expect that usage of marketing technologies – from IoT/connected devices to lead scoring tools – will skyrocket over the next two years. High-performers tend to be heavier tech users, with most reporting that their current tech stack aids collaboration, increases productivity, and drives a more cohesive view of customer data. Top teams also cite data management platforms as the most essential tool for 1-to-1 marketing across every touchpoint. Artificial Intelligence (AI) is leading technology where marketers expect the most growth in the next two years. 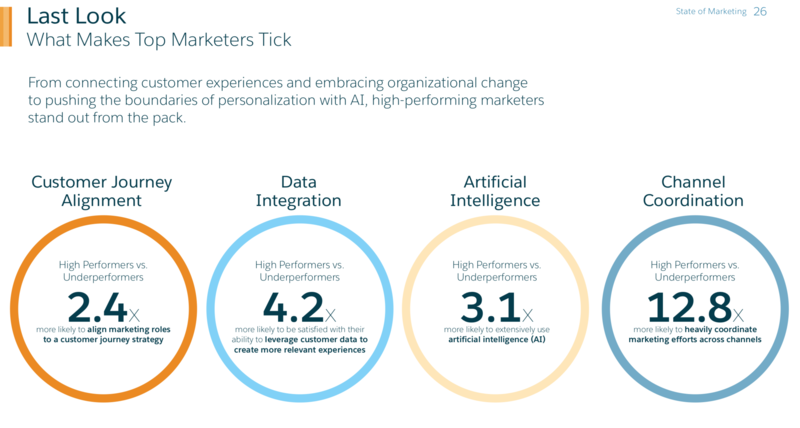 Internally, marketers view AI as a means of creating more efficiency in their operations. For customers, most marketers see it as a way to get more from their data and ramp up personalisation without burdening their teams. 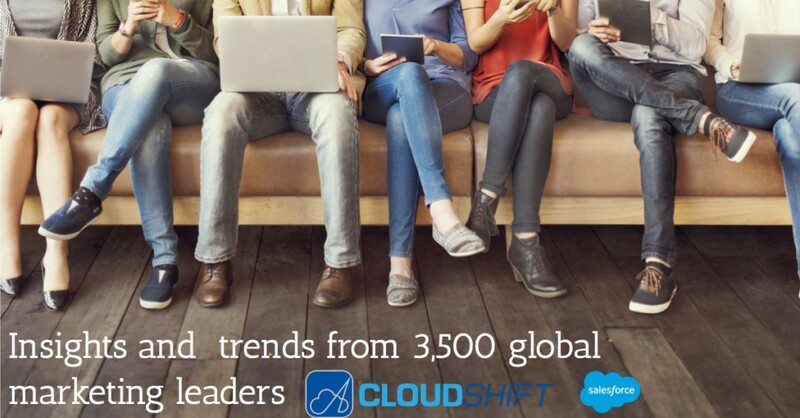 Leading marketing teams must now look for new and engaging ways to reach out to their customers, be it B2B, B2C or B2B2C – CloudShift makes the move to Cloud computing and AI for Marketing teams easy, we can build an intelligent CRM system that can guide your marketing team to ensure every customer experience is personalised and positive. Customer expectations will only become more demanding, get a head start on your competition and talk to our talented team to discuss Marketing Cloud, Pardot and how Salesforce can help you win the battle. 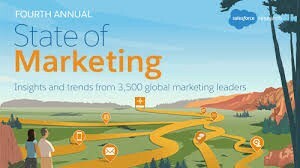 *Some text and images have been taken directly from Salesforce Fourth Annual State of Marketing Report from Salesforce Research. Read the full report here.